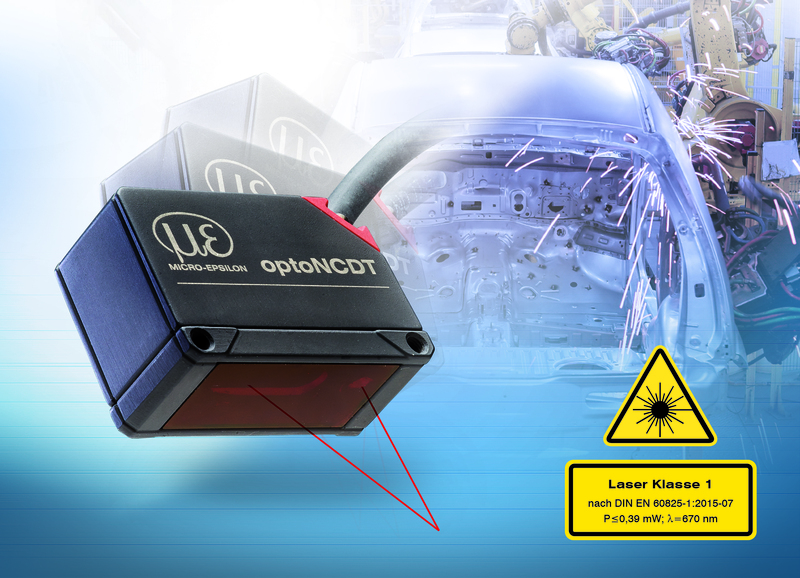 The optoNCDT 1420 laser triangulation sensors are now also available with laser class 1. With this laser class, the radiated power is at a maximum of 390µW. Therefore, costly protective measures that correlate with laser class 2 sensors are no longer necessary. Laser sensors from the Micro-Epsilon product range use a semiconductor laser with a wavelength of 670nm (visible, red) with an optical output power of max. 1mW. Therefore, the majority of laser sensors are classified as laser class 2 devices. During intended use, laser class 2 does not require any specific protective measures and enables the sensors to be applied in industrial measurement tasks, as well as in research and development. However, some operators place higher requirements on the sensor laser class and request laser class 1. With this laser class, the radiated power is at a maximum of 390µW, which is significantly lower than that of laser class 2 sensors. Particularly in the field of automotive production, increased demands are being placed on manufacturers to take adequate safety precautions in their production plants, including the use of laser class 1 sensors if people are working in close proximity to laser sensors. For example, this is the case when handling equipment for the attachment or installation of interior parts is used while laser sensors precisely align these parts. Under unfavorable conditions, workers may look directly into the laser beam or the reflection of the beam. With higher laser classes, the beam can cause irreparable damage on the retina of the person affected. 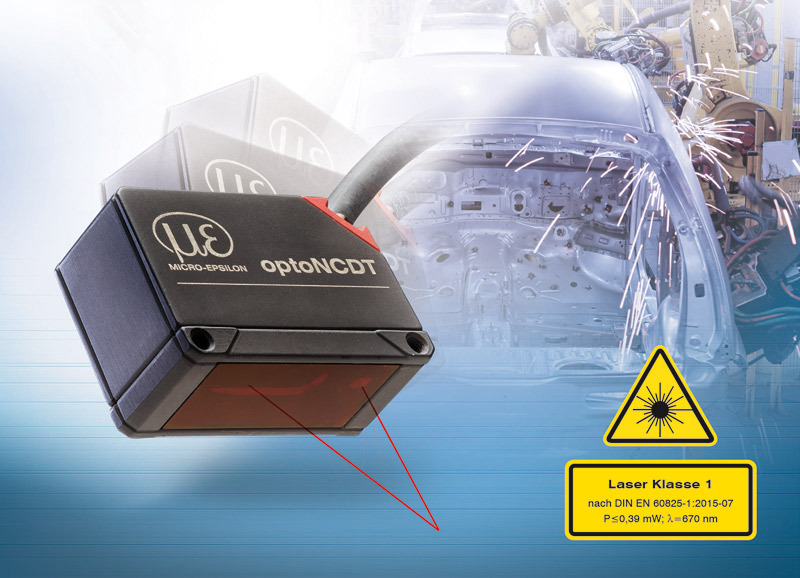 With the new optoNCDT 1420CL1 models, Micro-Epsilon offers a sensor that fulfills the requirements of the automotive industry in terms of performance and laser class. Even the pharmaceutical industry often requires laser class 1. Some applications use laser sensors to determine distances to very sensitive surfaces and substrates. Laser class 2 sensors can under certain circumstances cause a chemical or thermal reaction of the surface. In these fields, sensors with laser class 1 are used as they do not cause any chemical or thermal reaction due to their low laser power.